After it was announced that Osama bin Laden had been killed, it was only a matter of time before the inevitable television or movie adaptation would be made. It’s simple albeit predictable pop culture math. Initially, I wasn’t all that interested in seeing such a story play out on the big-screen, but when I learned that screenwriter Mark Boal and director Kathryn Bigelow, the Oscar-winning pair behind 2009’s “The Hurt Locker”, I was in. As expected, the duo bring a riveting authenticity to the events that lead to the manhunt that developed after the 9/11 attacks on American soil. 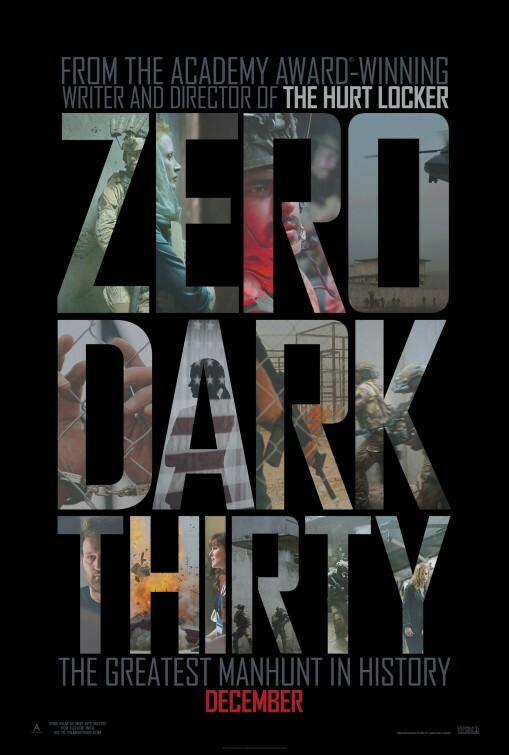 Where their last Middle East film gave us a harrowing look at the stress and addictive tendencies of war, “Zero Dark Thirty” delivers a fascinating and insightful procedural fueled by revenge yet free of sensationalism. Like “The Hurt Locker” followed an American bomb disposal specialist during the Iraq War, “Zero Dark Thirty” introduces us to Maya (the impeccable Jessica Chastain) a young CIA officer who dedicates her life to tracking down bin Laden. Two years after 9/11, she is sent from Washington to Pakistan to contribute to black site operations populated by exhausted and frustrated agents. She watches as a seasoned agent Dan (a captivating Jason Clarke), dispenses physical and psychological torture to a detainee who may or may not have vital information for the mission. Teaming with the resourceful Jack (Harold Perrineau) and the somewhat resistant Jessica (Jennifer Ehle, “Contagion”), Maya becomes a part of a focused group overseen by Islamabad Station Chief Joseph Bradley (Kyle Chandler, the current go-to foreign affairs guy) that scour through intelligence and leads that inch them closer to the most wanted man in U.S. history. It’s an arduous and intense process that spans years, often thwarted by violent acts of terrorist retaliation (like the 2005 London bombings), political red tape and unfortunate dead ends. Throughout it all, Maya becomes even more obsessed, getting deeper and deeper into the rabbit hole. Having lived through the 2008 Islamabad Marriot Hotel bombing and the sudden attack on Camp Champman in 2009, she begins to distance herself from White House bureaucracy, honing a single-minded focus and developing a thick skin. After pressure and scrutiny from a handful of CIA heads (a couple played by everywhere man Mark Strong and James Gandolfini, in a brief humorous role), Maya lands some key information that leads to a secretive compound in Abbottabad where she uncovers some curious activity. She has a feeling about this lead and runs with it. After months of study, Navy SEAL Team Six (played by Joel Edgerton and Chris Pratt, to name a few) is sent to the compound using extreme stealth under the strong chance that bin Laden is there. Surrounded by doubting testosterone, Maya remains the only one with a 90% belief that their target will be found. The pressures rise to an incredibly nerve-wracking level, as lives are put on the line, all because to the convictions of one strong-willed young woman. Boal and Bigelow have made a powerful film that could wind up being the ultimate cinematic representation of a pivotal time in current history. 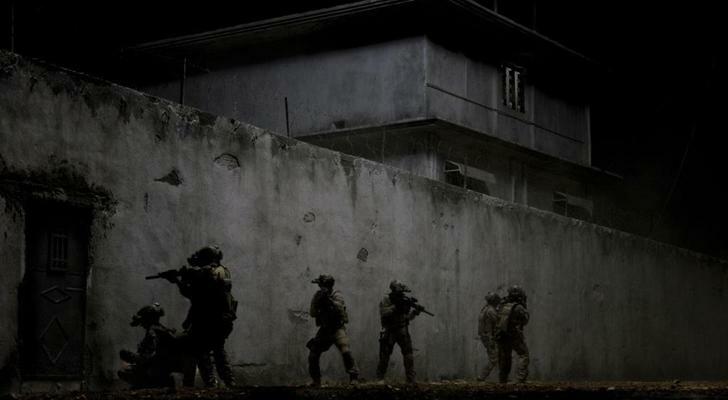 Not just the death of bin Laden, but also the dramatized real-life events that led to it. We’re left to determine how we ourselves feel about the lives that were taken and the atrocities committed by both al-Qaeda and the U.S. In a film that reaches almost three hours in length, Bigelow fortunately stays on course, not bothering to give us any backstories for the characters we meet, not to mention last names. Those details are for a completely different movie, one that focuses more on characterization than it does the maddening details “Zero Dark Thirty” examines. The film cuts a meticulous and committed path, inhabited by actors portraying characters that have little time for a life outside their career. Pay attention and you’ll find Edgar Ramirez (“Carlos”), Frank Grillo (“The Grey”), Scott Adkins (“The Expendables 2”), Stephane Dillane, John Barrowman, Mark Valley and Mark Duplas, scattered throughout the film. It’s a cast reminiscent of Steven Speilberg’s “Saving Private Ryan” or last year’s “Tinker Tailor Soldier Spy”, as if just about every actor ran to Bigelow’s production, clamoring for a role. Amid the moments of intense interrogations and heated conversations, Bigelow recreates devastating events that serve to remind us of the stakes and the reasons for the mission. The influence of bin Laden is felt as his disciples remain defiant despite their subjection to water-boarding, starvation and humiliation, to the point of confidently sacrificing their lives for al-Qaeda. As much as audiences have become desensitized to acts of violence over the years, the film’s depiction of torture has been the subject of much debate. There are those that have come out and said that the information that led to bin Laden’s whereabouts were not obtained by torture. I wonder if they’ve seen the film, because “Zero Dark Thirty” actually supports that line of thought, as it shows how key information was either purchased, persuaded or procured through non-violent means. On that note, Bigelow’s film feels almost as apolitical as “The Hurt Locker” with little emphasis to the right or the left. 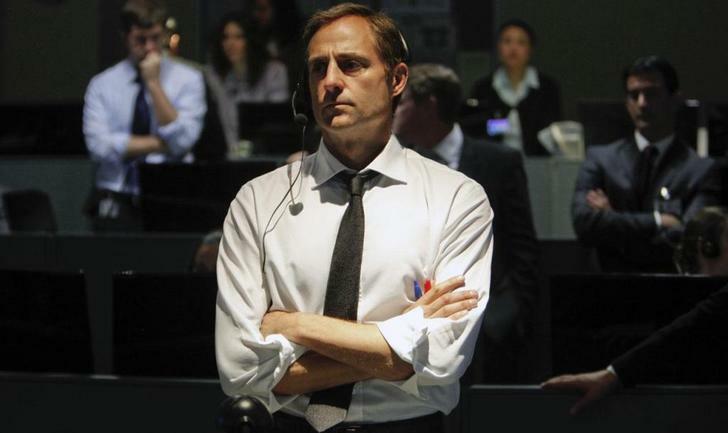 For the most part, there is a deliberate focus on the mission that is tightly tethered to Boal’s impressive screenplay (at times, it feels like he out-Sorkins Aaron Sorkin). At no point did I experience a strong sense of patriotic pandering nor did I witness any overt jingoism that’s been present in recent films involving Middle East affairs. If there was one ulterior agenda emphasized in “Zero Dark Thirty”, it was lost on me. I was too busy being absorbed by the story and by Chastain’s captivating performance. She undeniably plays the audience’s avatar as Maya and stands out with her auburn hair in a predominately male environment. It’s easy to take notice of her here, but Chastain has impressed audiences for the past couple years now with each role she takes. She’s shown a talented range in films like “Take Shelter” and “The Help”, but this is the role that will award her a Best Actress nomination and hopefully an Oscar. It’s a complicated role, one that offers a noticeable transformative arc, requiring both a quite steely resolve combined and a painfully vulnerable side. As the heart of the film and the face of the hunt, Chastain conveys an amazing amount of humanity, especially during the film’s closing moments. Just as Boal and Bigelow have proven themselves, “Zero Dark Thirty” shows the director finding a compatible creative partner in Chastain as well. Their synchronicity shines in the film’s third act, where we see Maya’s impatience brew over her superiors dragging their feet before they commit to take action. Once the raid is greenlit, Bigelow turns it up a notch for the night raid sequence. It’s a slow-burn nail-biter, mostly seen through the lens of night goggles. Bigelow prevents this action from feeling like Ghost Recon or Modern Warfare video game scenes by cutting to the startled women and children the team encounter on the compound, providing a jarring sense of uncomfortable reality. Alexandre Desplat has composed a powerful score for this film, just as he did Ben Affleck’s “Argo”. His soundtrack, which incorporates music indigenous to the story’s location, pulses at times with aural anxiety which builds to a frenzy, similar to that of Howard Shore’s unsettling score to David Fincher’s “Se7en”. Speaking of Fincher, “Zero Dark Thirty” feels a lot like Fincher’s epic procedural “Zodiac” in many ways, especially in how they both open to a black screen. In this case, Bigelow has the audience hear several panicked cell phone calls from the World Trade Center on September 11, 2011. It’s a tactful opening, providing context for the rest of the film and successfully forcing the audience to remember the tragic event that started it all without hammering a specific point of view. 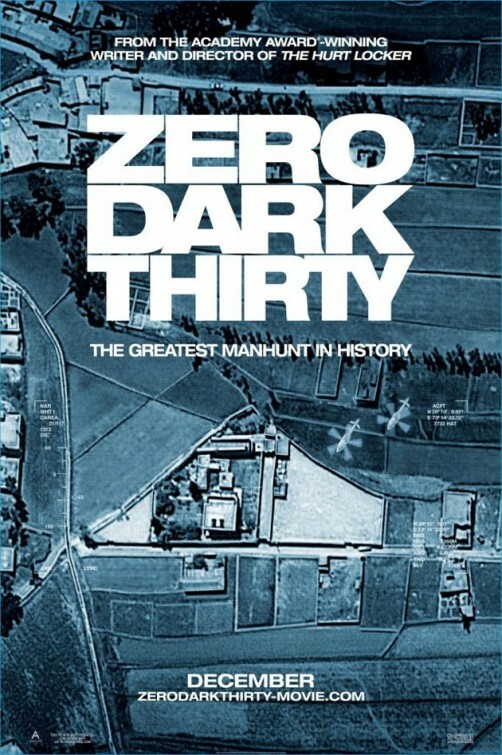 In case you’re as curious as I was, Bigelow recently explained the film’s title to EW, stating, “it’s a military term for 30 minutes after midnight, and it refers also to the darkness and secrecy that cloaked the entire decade long mission.” It may seem like a clunky title, but at least it’s not as cheesy as its working title “For God and Country”. I like the idea of taking God and Country out of it altogether, but then again it seems each side has used both to justify their actions. 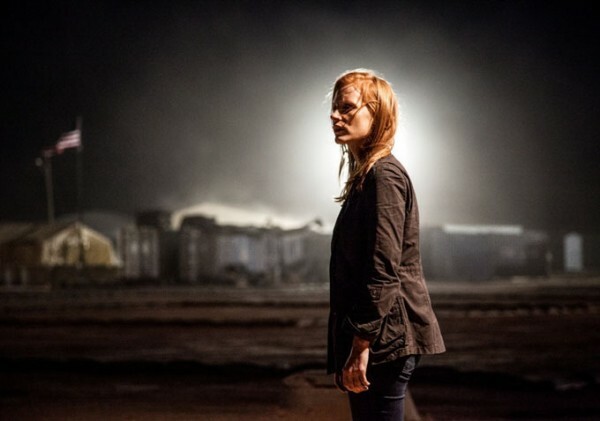 “Zero Dark Thirty” is a hypnotically-paced thriller, filled with intelligence, emotion and fiery performances. Bigelow may break it all down for us in chapters, but she also ultimately leaves it to us to decide whether there’s anything to celebrate here.